Read my Uniregistry review to learn more about one of the best domain managers available now. Uniregistry allows you to manage your names in a very user friendly way. They say Uniregistry is the best way to manage your domain names. Click below to grab your domain. Use Domain Manager to filter your domains any way, anytime, however you like. Not all data is created equal. Choose the data most important to you and make sure you’re seeing just what’s relevant to you when you’re in the domain manager. 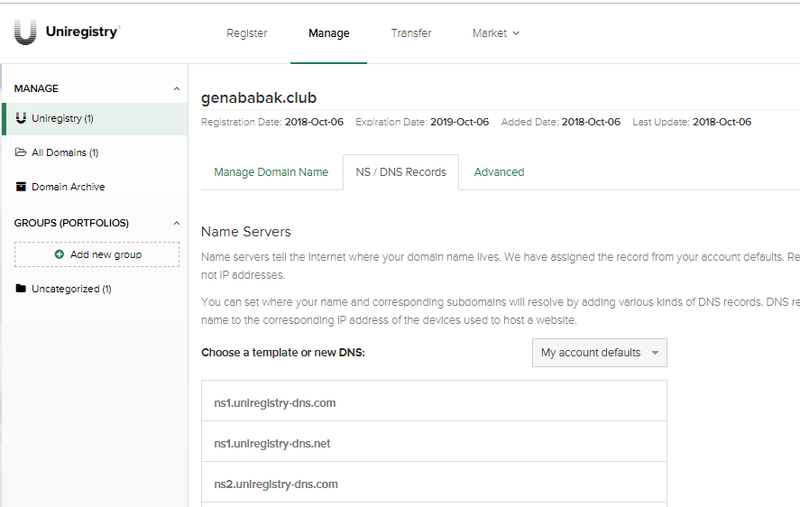 Inside UNIREGISTRY domain manager area you can set where your name and corresponding subdomains which will resolve by adding various kinds of DNS records. DNS records are useful because they translate the easy-to-remember domain name to the corresponding IP address of the devices used to host a website.